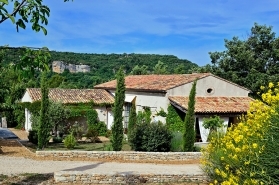 Luxury villa rentals near Saignon, Luberon. Perched on a hillside 4 kilometres from the small farming town of Apt, Saignon remains an unspoiled Provençal village which is believed to be one of the 10 oldest villages in France. Perched on a hillside 4 kilometres from the small farming town of Apt, Saignon remains an unspoiled Provençal village which is believed to be one of the 10 oldest villages in France. 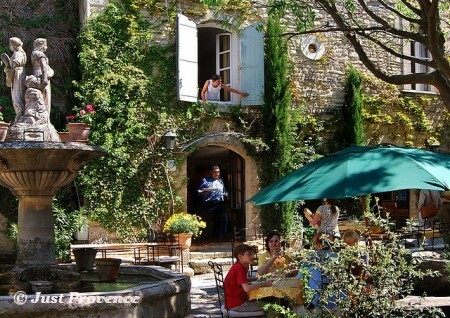 It enjoys panoramic views over the Luberon National Park. 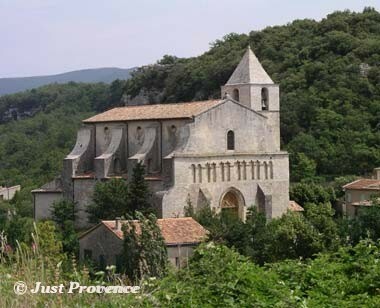 The 12th century Romanesque church of Sainte Marie can be found on the eastern edge of the village. 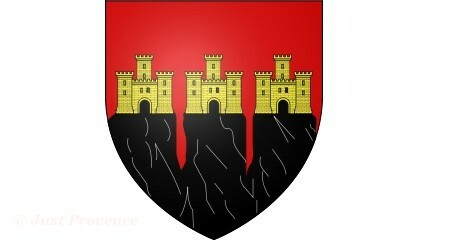 Saignon is a small and very charming, old hill village just outside of Apt, in the Luberon valley. In the centre of the village is this small space with a fountain in the centre and magnificent stone buildings surrounding it. Saignon's heritage is quite impressive for such a small village, it includes roman riuins spread all aroound the architecture of its major buildings such as churches and chapels. It also has a series of castles some in ruin and two in good condition, an abandoned abbey and some oil mills dug in the village's cliffs. Nearby, Apt's bustling market is a must and has been rated as one of the best in France. It is held every Saturday throughout the year. In addition, Apt boasts a wide selection of supermarkets, shops and restaurants. The photo above is the restaurant 'Auberge du Presbytere', where they serve the water for the tables directly from the fountain. It's a charming spot with great food with which to try the local wines. Saignon has the basic commodities one would expect from a Provençal village. La Maison des Arts et Lettres is an historic building on the picturesque Place de L’Horloge, once part of the ramparts of the medieval village. The building still retains the chemin de ronde -- a covered walkway where medieval soldiers made their rounds -- as well as vestiges of the old signal tower. Underground is a fascinating network of ancient vaulted stone cellars, which now house our art gallery and event space.